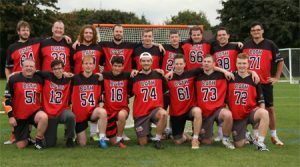 We are the oldest current club team in the West of England, and welcome anybody who wants to try the great sport of Lacrosse. From beginners to experts boys, Girls, Men and Women we welcome you all, just fill in the contact form and we’ll get back to you. BLC is affiliated to the England Lacrosse the National Govening Body (NGB) for the sport, and enters two Men’s squads at senior level into the South of England Men’s Lacrosse Association competitions and one Women’s squad into the South West Womens Lacrosse Association Competitions. BLC also has strong links with Bath University, giving preferential membership to Students providing weekend game time in the club squads. From 2016 BLC will play its home games at Odd Down Playing fields, Chelwood Drive, Off Bloomfield Road, Bath, BA2 2 PR. One of the highlights on the Lacrosse calendar is the Bath Eights, started in 1986 to promote the club, it is now one of the biggest tournaments in Europe, traditionally held on the first Saturday in September it boasts a capacity entry of 33 Mens teams each year, bringing over 400 lacrosse players and numerous supporters to the City. In 2017 The tournament expanded to include the Bath Women’s Eights, adding another exciting dimension to what is already one of the premier tournaments in Europe.